We created BlueBeak, an Internet of Things (IoT) sensor technology framework, which allows for the rapid development of beacon-enabled mobile applications. Beacons are small, wireless sensors with unique IDs that can be attached to people, places, and things. They communicate with Bluetooth-enabled mobile devices by transmitting signals to beacon-compatible apps. When someone comes within a few meters of a beacon, the mobile device detects the signal and based on the data, it produces an action in a beacon-enabled app. Beacons operate on very low battery power and have a range of approximately 50 meters (150 feet). The mobile app can then send messages to smartphone users or relay data back to connected servers or desktops. Beacons are small devices that enable a more accurate location using GPS, cell-tower triangulation and Wi-Fi proximity. 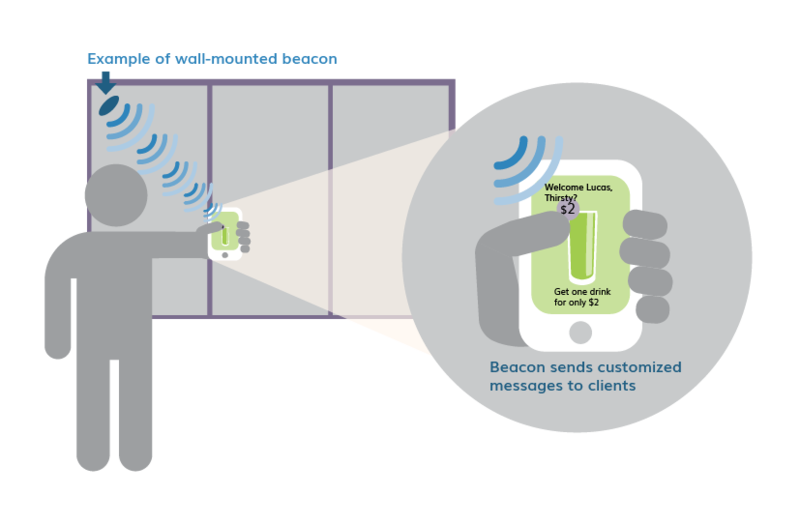 Beacons transmit small amounts of data using Bluetooth Low Energy (BLE). What is BlueBeak? How does it work? As the appetite for mobile technology continues to grow, there’s an increasing need to create smarter, faster, and more cost-effective solutions to reach consumers. 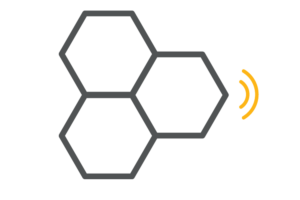 We’ve created BlueBeak, an Internet of Things (IoT) sensor technology framework, which allows for the rapid development of beacon-enabled mobile applications. 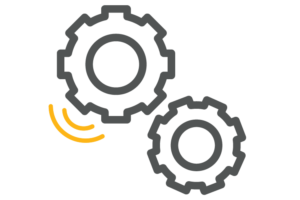 BlueBeak helps our customers bring the Internet of Things (IoT) solutions to market faster. BlueBeak serves as a framework for real-time customer engagement. 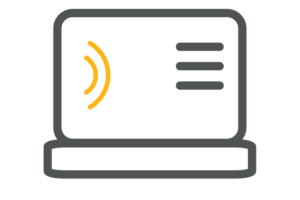 We can design a customized dashboard and integrated application for our clients that delivers data to smartphones, allows users to take action, and provides companies with the ability to view, engage, and track data from beacons installed at facilities. Using alerts and push notifications based on proximity to a beacon, BlueBeak’s mobile app serves as a tool to interact with users. It can serve as a directory of nearby services or events, communicate special promotions, or provide turn-by-turn navigation or wayfinding for users on Android or iPhone devices. The app can also be linked to social media channels such as Facebook to ease the login process. For companies that already have an existing mobile app, we can simply integrate BlueBeak features using the software development tools we’ve already created for the framework. If your company doesn’t have a mobile app, we can also create it for you, using this kit to cut down on the cost and time of starting from scratch. 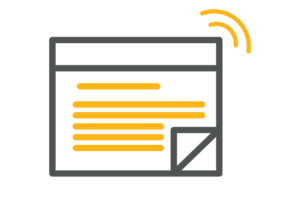 Our BlueBeak framework combines mobile, web, and cloud services to process proximity data gathered from beacons and sends messages through the mobile app. This is where the information is stored on what to tell the mobile app user – whether it’s turn-by-turn navigation (or wayfinding), or couponing – when they come within 50 meters of a beacon. 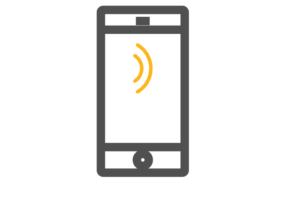 Our BlueBeak dashboard gives clients the ability to see beacon signal data, track assets, as well as review how their users interacted with messages sent through the mobile app. 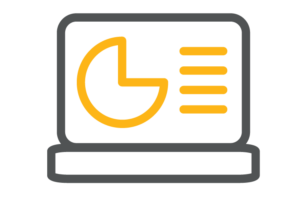 The dashboard user interface enables fine-tuning of the customer experience and management of the end-to-end system. Our BlueBeak engine allows us to develop and implement specific rules based on user interaction and real-time movement to deliver targeted communications. By gathering and analyzing data from the beacons and user interaction, we can determine trends and adapt rules to capitalize on higher engagement opportunities such as a specific time of day or location. The use of beacon technology has led to improved metrics and patient outcomes as well as reduced costs and decreased lengths of stay at this hospital unit. How is Beacon Technology Used Across Industries? 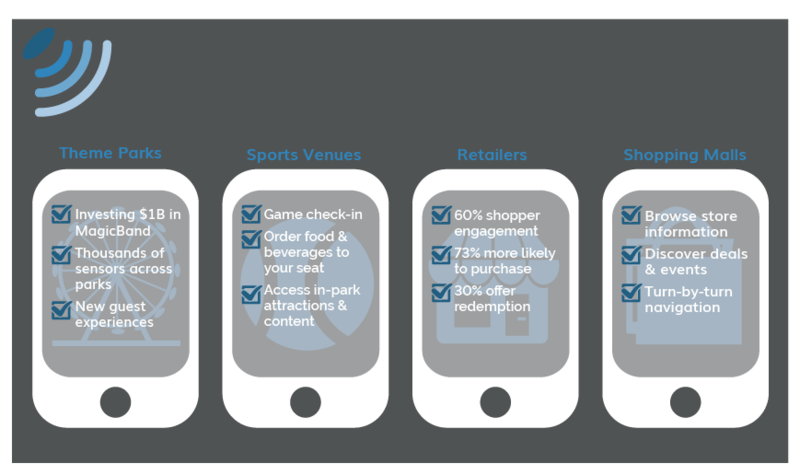 Beacon technology is used across industries such as retailers, sports venues and tourism destinations to deliver personalized, contextual information and services to users via Bluetooth-enabled mobile applications on their smartphones. Thanks to a smartphone’s ability to recognize people when they get close to a beacon, organizations are using beacons to create new, location-based experiences for their customers. Beacons can allow Bluetooth-enabled mobile applications to push targeted communications and contextual messages to customers as they near specific locations.